KitMonsters – Akai MPC3000. The music makers’ guide to making music. 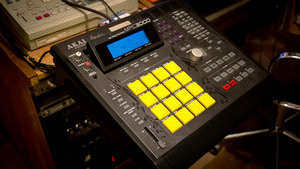 The Akai MPC3000 is a powerful sampler and sequencer. This vintage MPC has 16 pads and 32-voice polyphony, effects and filters, and was launched in 1994. The 3000 features 16-bit 44.1 kHz stereo sampling and has two MIDI inputs and four MIDI outputs, as well as 20 song / 75,000 note capacity. It has 32 voices, including multiple drum sets, plus an SCSI port. 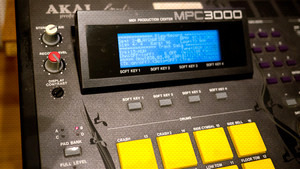 The MPC3000 LE pictured is a limited edition version released in 2000. 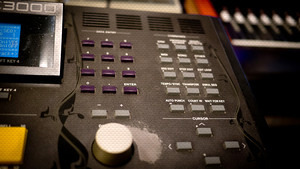 MPCs were originally designed by electronics guru Roger Linn as drum machines and extra features were added to the new models. This is the last of the series designed with Linn, and has his signature printed on it. It is popular for drums and percussion and is highly sought after. 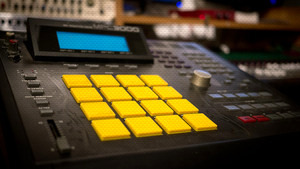 Artists who use an MPC3000 include Dr. Dre, The Chemical Brothers, Tiësto, Puff Daddy and Ty.